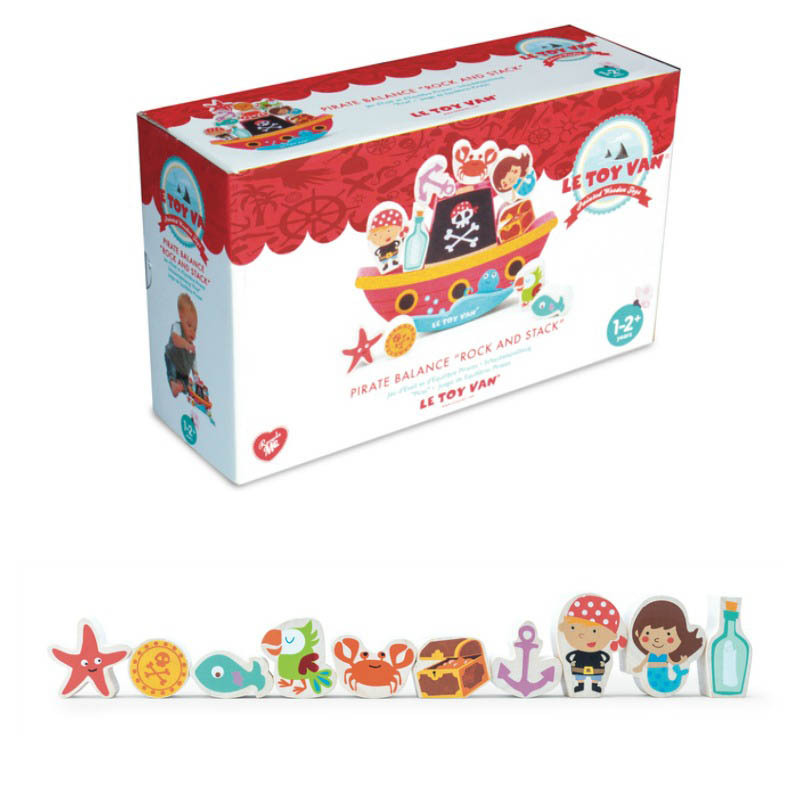 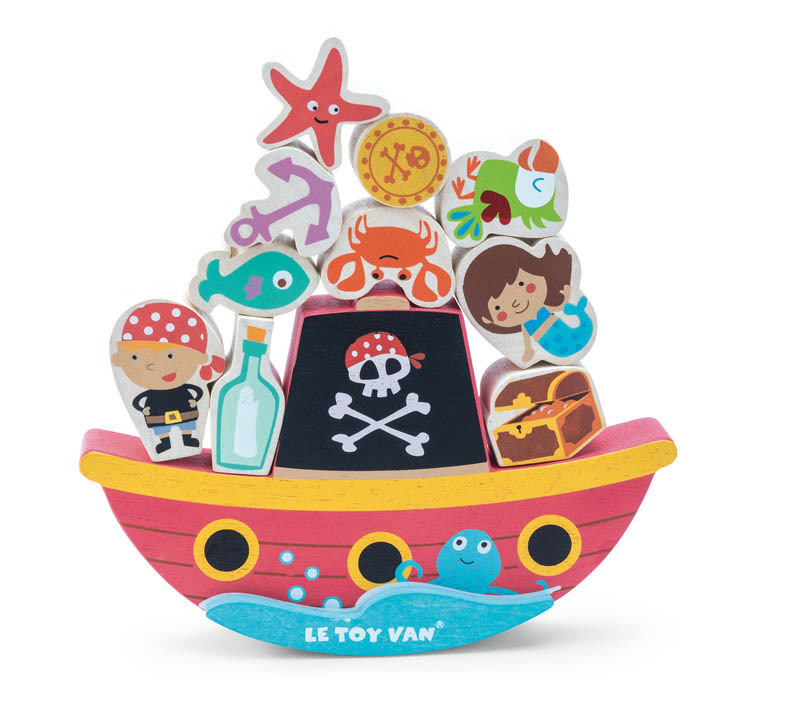 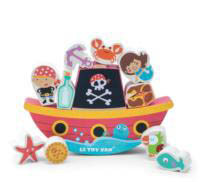 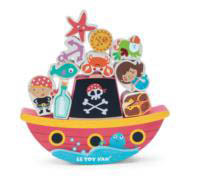 Rock along with this adorable pirate ship adventure! 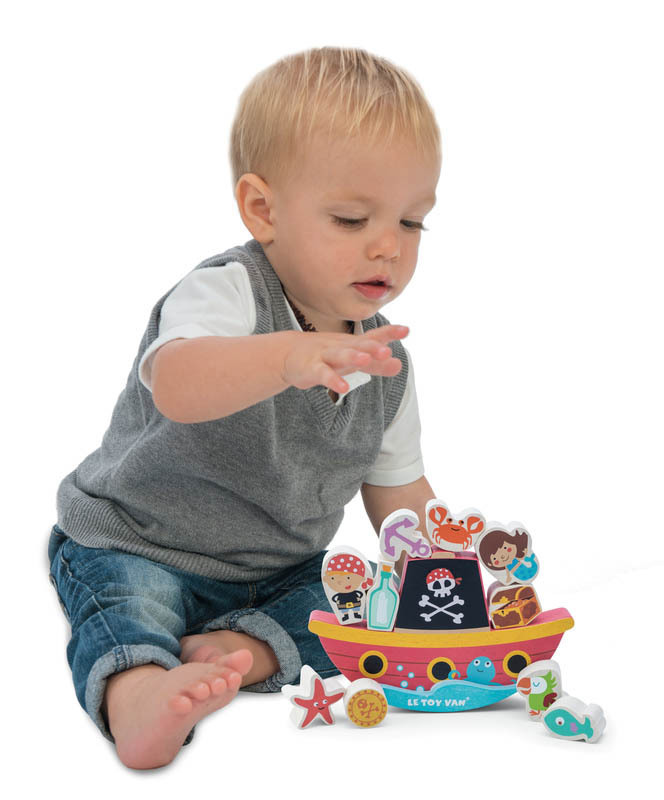 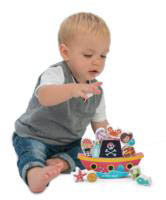 Balance and stack the nautical themed wooden pieces on the deck of the rocking ship for some hearty pirate fun. 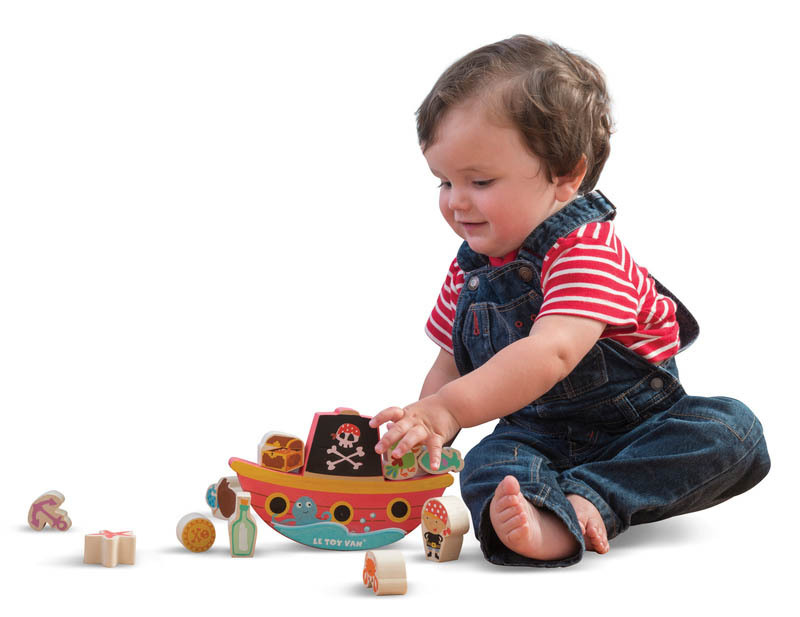 Made from solid rubberwood, the rocking ship comes complete with ten wooden, stackable pieces. 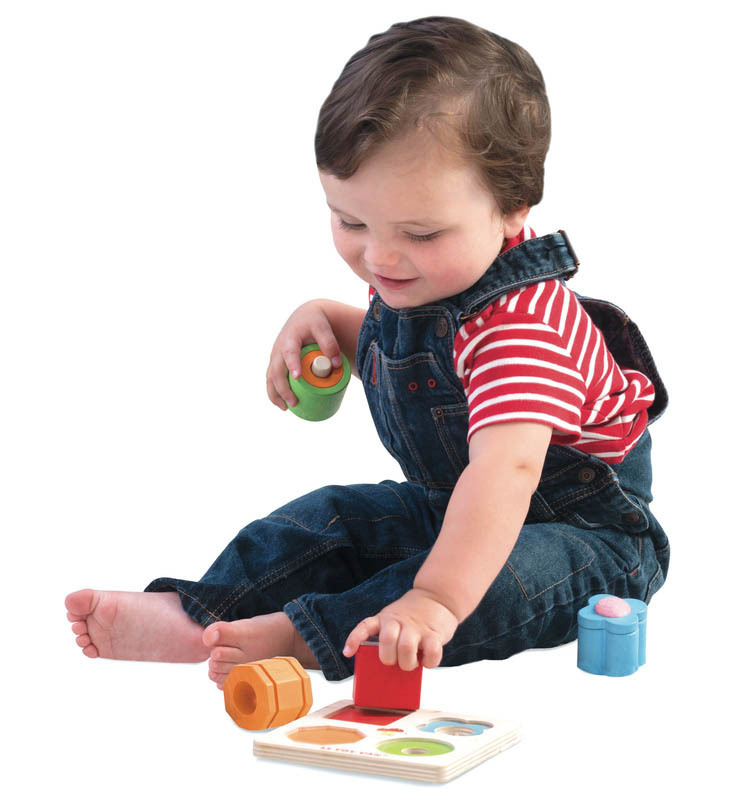 A super fun game that is great for logical thinking, fine motor skills, hand-eye coordination and social play. skills development.